“What can I do to increase the value of my home?” That’s one of the most common questions I get. “Should I update my bathroom or kitchen? Is a new roof more important than new siding?” Knowing where to put your money when making major improvements is important; however, I’m thinking of something different. In my experience, the biggest thing a homeowner can do to increase the value of their home, is to maintain what is already there. We’re not talking about putting $50,000 into a new kitchen, (we can talk about that another time) or some sort of other major overhaul, I mean the simple monthly or annual maintenance that is so easily overlooked. The things you have control over. It’s a house, things don’t last forever, and keeping up on the small things can save thousands on the big things. Paint: a lot of homes built these days have a lot of maintenance free items. I’m a huge fan of them, but it’s important to know which items are maintenance free and which ones aren’t. Paint has more than a cosmetic benefit and it’s a good practice to look for peeling or flaking paint once a year and correct as needed. Mechanical: change furnace filters as needed, keep up on a/c services, whole house water filters, check dryer vents, blow out sprinkler systems. Check under sinks for plumbing leaks, get down into the crawl space every now and then and make sure there is no sign of moisture. If there are concerns, call a professional for an opinion. Long lived items: some things are going to wear out no matter what. Roofs, water heaters, boilers, are all good examples. PLAN on replacing them before they HAVE to be replaced. Proper maintenance of a house will go a long way. These are not big renovation projects, and when planned for have minimal impact of a budget, but a good payoff on return. Homes that are better maintained and cared for show it, not just to professionals but even people, like a potential buyer, who don’t know exactly what they’re looking for, but know what they like when they see it. There are a lot of things that can impact the value of a home that are out of our control. Things like rising interest rates, regulation changes, and economic patterns are outside influences that we have little or no influence on. 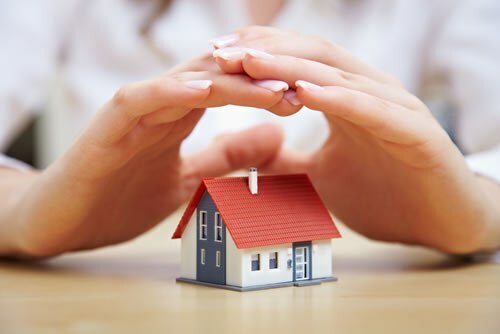 These are the reasons why it’s so important to have qualified, experienced professionals to contact when you need to know what your property is worth. Please call or contact and let us be the professionals you rely on for all of your residential and commercial appraisal needs.